MapQuest has done an impressive job of building a useful array of driving-related tools onto its core mapping program. The site can guide you to your destination, help you avoid traffic entanglements, and even point you toward convenient coffee and cheap-gas pit stops along the way. Here is a quick, tip-based map of MapQuest. Avoid traffic jams: Once you've mapped out where you're going, plan your best route by ticking the Traffic box at the top of your map. Where possible, MapQuest displays current traffic conditions, including traffic flow (normal to stop-and-go), accidents, and construction. You can still use "bad traffic" as an excuse for being late, but not if your boss is the trust-but-verify type. Find a nearby coffee shop: You used MapQuest to figure out how to get where you're going, so why not let it help you figure out what to do once you get there? After you've mapped an address, use the Search Nearby form or the MapQuest sidebar toolbox to find a nearby coffee shop, restaurant, movie theater, bar, dry cleaner, or pawn shop. 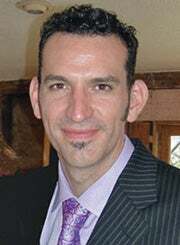 Streamline full-address lookups: You may occasionally look up an address by manually filling in each field of MapQuest's traditional address/city/state/zip search form; but more often than not, you just copy and paste the whole address from an e-mail message or from a source on the Web. So rather than tediously copying the address, city, and zip code piecemeal into each field, click the Use Copy & Paste Forms link in MapQuest and then paste the entire address into the text area in one block. 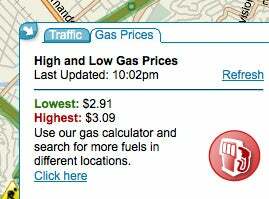 Find the cheapest gasoline available near you at MapQuest’s Local Gas Prices page. Find cheap gas nearby: MapQuest's Search Nearby feature will find the gas station closest to you; but if you point your browser to the site's Local Gas Prices page, you can also see the price of gas at each station, sorted by price. And for a tool to calculate the total cost of a trip, press the Gas Calculator link. Send directions to your phone or car: Rather than printing out travel directions, try using the ‘Send to Cell' feature to send your MapQuest map to your cell phone. Better yet, if your car is equipped with GM's OnStar GPS technology, you can beam your directions directly to your car--just click the Send to OnStarMapQuest link. 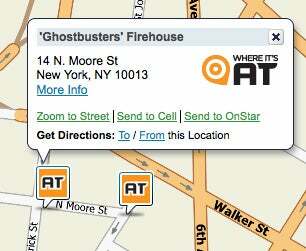 Find places of note--like the Ghostbusters' Firehouse--on any map with MapQuest's Where It's At feature. Find places of note: Besides handling popular local business searches, MapQuest's sidebar toolbox has a big Where It's At icon that, when enabled, displays places of note on your map. "A free application for iPhone that allows easy access to Directions, Maps, and Local Search as well as access your saved maps from your My Places account. The app became the #1 free navigation app on launch and has remained there since. The Landscape mode feature of the MapQuest 4 Mobile for iPhone application creates calm and easy viewing when driving. A simple swipe moves you to the next maneuver quickly and easily. It then shows you what to do next. My Places integration is also tremendous. I love the ability to save maps/routes/searches on MapQuest.com and easily bring them up on the iPhone."